• 100% Natural Ingredients For Maximum Performance! - Our advanced, safe and healthy formula features 100% natural ingredients, such as Tongkat Ali, Maca Root, L-Arginine, Zinc and Ginseng Eleutherococcus, which have been used as testosterone boosters and libido stimulants for hundreds of years! • Regain Your Lost Confidence & Turbo-Charge Your Productivity! 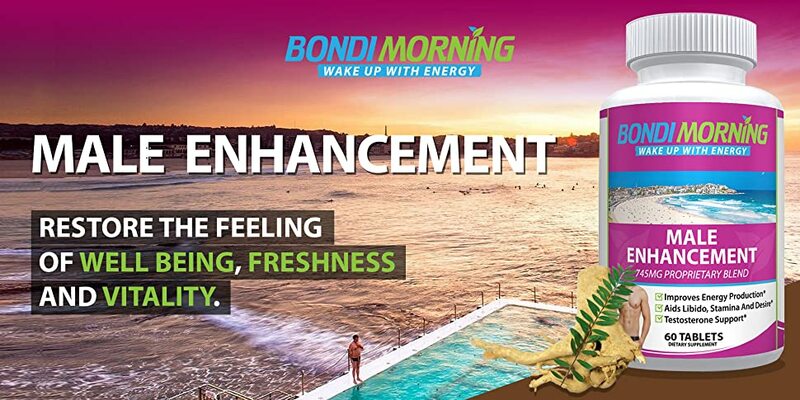 - The Bondi Morning herbal and hypoallergenic men’s enhancement capsules will not only boost your performance, help enhance your endurance and stimulate healthy blood flow, but also help you feel more confident and rejuvenated! • Surprise Your Loved One With Your Enhanced Stamina & Libido! - Experience improved endurance and invigorate your sexual wellness with our pure male enhancement supplement, which is free from GMO’s, fillers, binders and preservatives! Your special someone will be amazed by your enhanced libido, stamina and mood! Start performing better at work, at the gym or in the bedroom without having to rely on questionable and low-quality supplements. Combining potent, natural ingredients, vitamins and minerals, the Bondi Morning Male Enhancement tablets will help stimulate healthy blood flow, assist in increasing your focus and clarity while supporting libido and desire. You can re-gain your lost confidence and feel more productive, whether this means meeting deadlines at work, performing better at the gym or invigorating your personal life! Boost Your Performance With The Most Powerful Natural Ingredients! 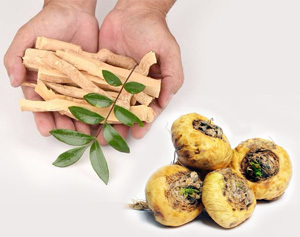 Nature’s Secret Recipe For Effective Male Enhancement Is Finally Revealed!